This necklace set is adorded with Simulated Diamond ABSOLUTELY GORGEOUS!! 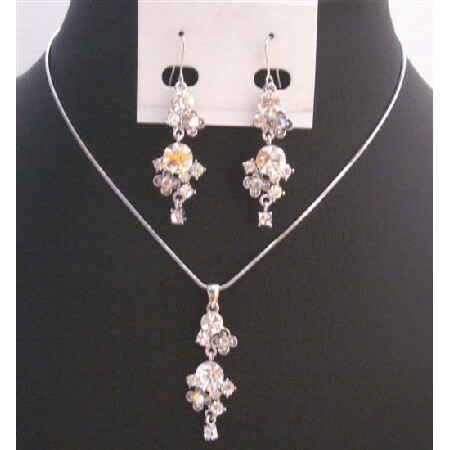 High Quality Necklace & Earring Set dangling fully embedded with cubic zircon. This delicate yet elegant set is adorned cubic zircon drop all accented in high quality silver rhodium plated chain aboslutely stunning.